The #WeAreCorbyn hashtag reached No.3 worldwide and No.1 in UK Twitter trends on Thursday, as supporters fought back against what they see as anti-Semitic “smears” against Labour leader Jeremy Corbyn. 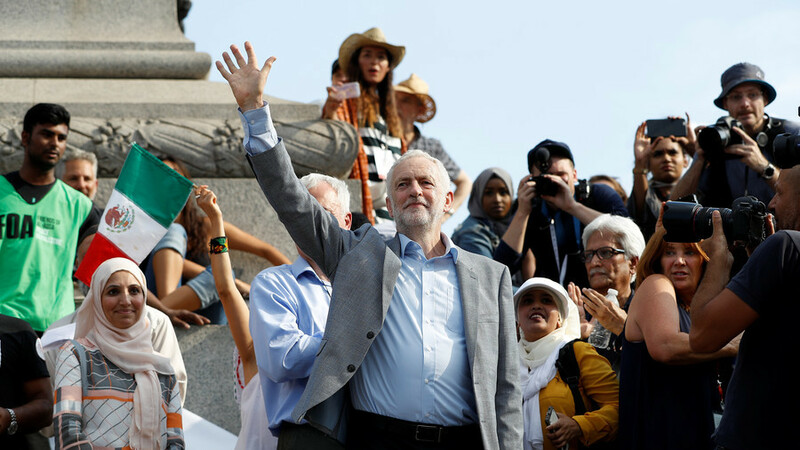 It will be seen as a welcome boost for Corbyn, who has been under intense pressure over recent weeks from sections of the mainstream media and the political establishment, including some of his own Labour MPs, on the issue of anti-Semitism. Labour grassroots activists, MPs and prominent left-wing political commentators all took part in the show of solidarity for Corbyn. Labour leader’s key allies in the shadow cabinet, John McDonnell, Diane Abbott and Angela Rayner were just a selection of Labour MPs to join in the chorus on Thursday evening. Left wing group Jewish Voice for Labour, together with other Jewish voices, demonstrated their support for the opposition leader who has been the target of severe criticism from certain parts of the Jewish community. It’s deeply offensive and deeply dehumanizing to me as a Jewish person that reactionaries try to use false allegations of antisemitism to smear progressive/socialist candidates. Jews have a proud history of radical convictions about #justice. For that reason #WeAreCorbyn. Jeremy Corbyn didn’t oppose apartheid in South Africa because he was anti-Afrikaners. He doesn’t oppose apartheid in Israel because he’s anti-Semitic. It comes as the Independent reports that Corbyn has reached out to the Jewish Museum in London to give a speech to address the current anti-Semitism “crisis” within his party.